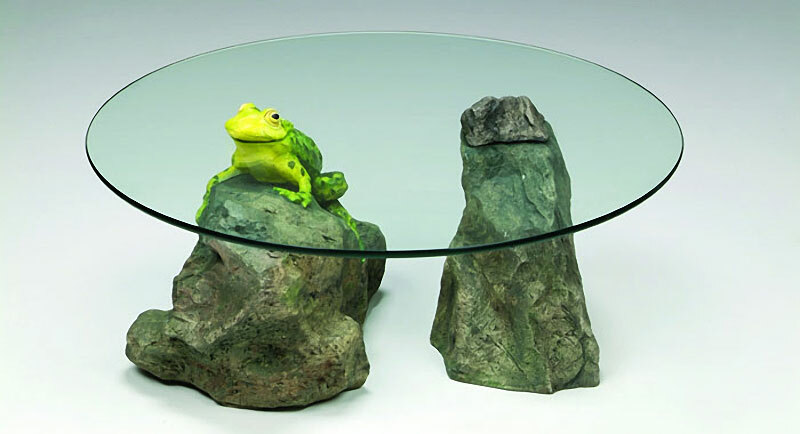 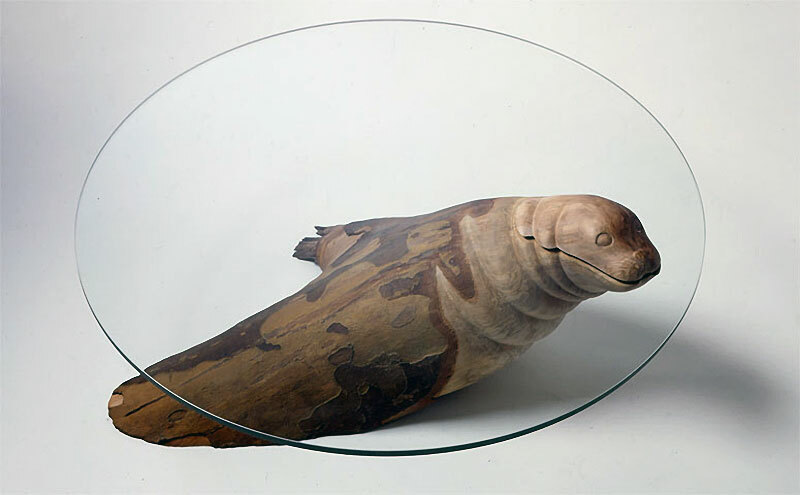 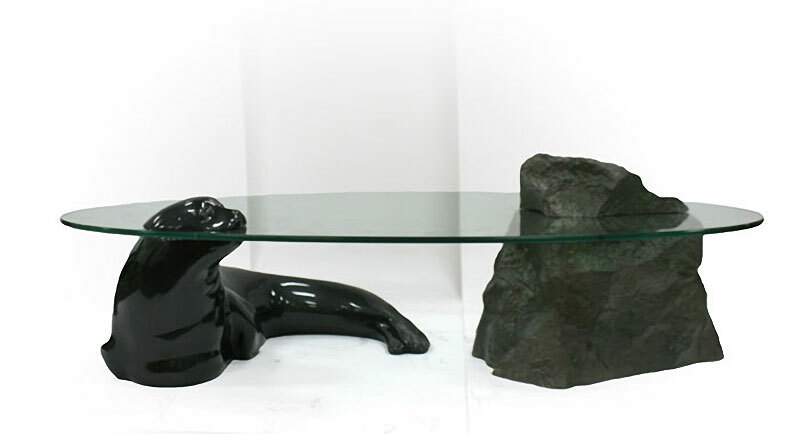 Coffee tables featuring sculpted hippos, ducks, dolphins, seals, frogs and otters breaking the glass surface by British artist Derek Pearce. 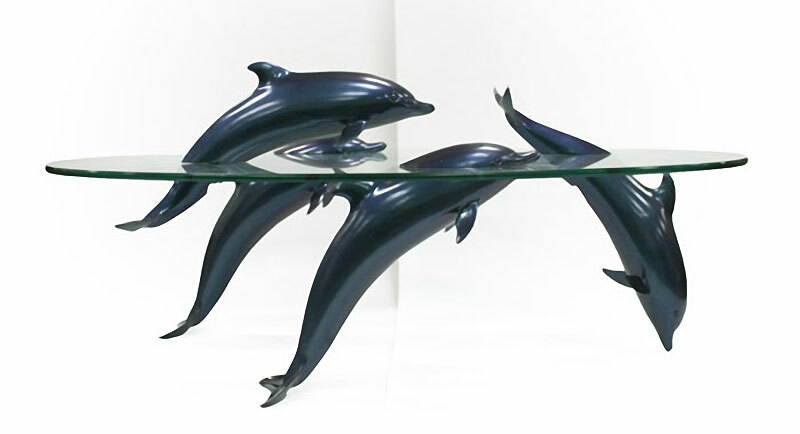 His original concept of using glass as water for a table has been widely copied and collected for their singular wit and craftsmanship. 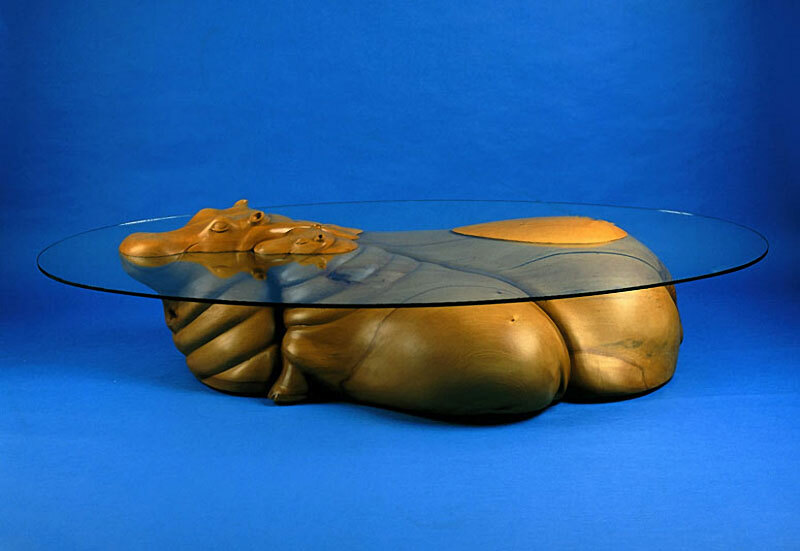 The tables are not cheap, averaging around $4,000–$6,000, but they are worthwhile investments if you appreciate the skill and labor behind their creation. 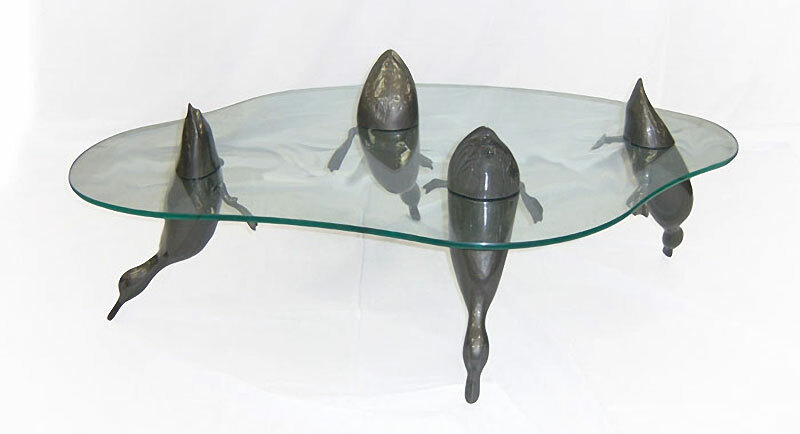 You can purchase Derek Pearce's water tables here. 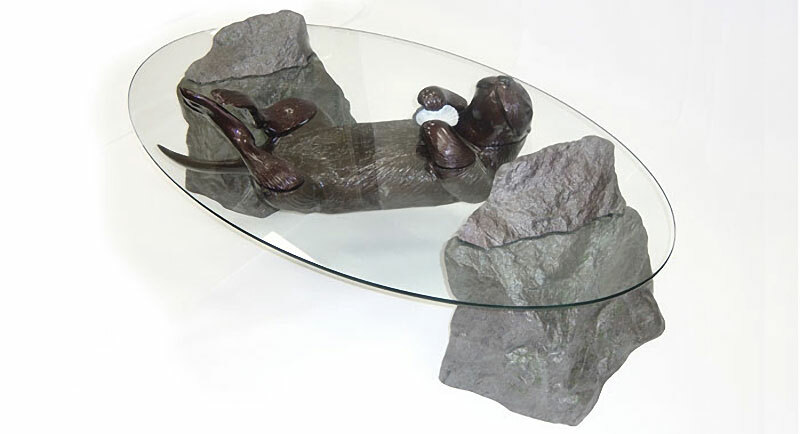 Coffee tables featuring sculpted hippos, ducks, dolphins, seals, frogs and otters breaking the glass surface by British artist Derek Pearce.